Below is a Contract Law Crash Course I put together for software business managers, owners, and IT consultants. 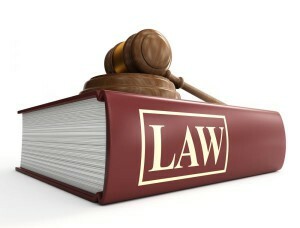 It’s based on U.S. contract law; however, you’ll probably find that most Western countries use similar legal concepts. Naturally this article isn’t going to replace getting personal legal advice from a lawyer. The paper below was checked by a US attorney so it should be accurate enough and hopefully be useful, too. This paper investigates contemporary U.S. and international contract law and its relevance and effects on software companies. In today’s global economy software businesses need to handle many concurrent business transactions, often with a broad variety of partners and customers. This trend towards wide diversification was strengthened by several simultaneous market trends. Among the most important changes in the world market affecting software business transactions are globalization, increased technological outsourcing, the unification of the European member states, and a general trend towards short-term business relationships. The market trend towards increased competition represents a great challenge to software companies. Transactions tend to be of smaller value but occur more frequent. Furthermore, in order to minimize risks, even smaller companies seek business beyond their national borders in an attempt to diversify their customer portfolio. Although globalization greatly reduced international transaction costs to a degree that even small companies can afford to compete globally, it also introduced more challenges. Which law governs international contracts? How can the company minimize its risk of disputes? As larger corporations continue to emphasize outsourcing practices another pattern emerged. Being under enormous pressure to cut costs and remain competitive, large corporations are now considering outsourcing to a larger range of smaller suppliers. On the one hand, this increase in supplier competition also increases business opportunities for small companies; however, when a large corporation deals with a relatively tiny partner, the question arises as to what extent the corporations’ bargaining power is abused and how small suppliers can protect themselves from being taken advantage of. The combination of international trade, outsourcing with dissimilar partners, and short-lived transactions increase transaction costs and risks in all companies. It is therefore obvious that even smaller companies need to exploit the legal system to their own advantage and protection. How does contract law protect businesses and which are the key principles that company owners need to pay attention to? Before these questions can be answered properly, a more detailed analysis of typical software business organizations needs to be examined. Then, by referring to these typical organizational arrangements, several legal guidelines and strategies will be developed. Software businesses are different from manufacturing businesses in that their product or service end-results are intangible. The virtual product called “software” is an amalgamation of intellectual property and creative craft and has the advantageous property of having zero transaction cost. Replication and transfer of software is virtually cost-free, for example, when software products are shipped or software development services are rendered via the Internet; hence, it is possible to have an Indian company develop a software product locally in India which is then tested and integrated in the U.S. by another software company. Consequently, software companies want to exploit this key nature of their product to maximize profits. Software products are predesigned to solve a particular range of problems. As technology progresses an increasing number of business problems can be solved by using standardized software. Such software packages are developed once and then replicated at a minuscule costs; therefore, selling software products is a very lucrative business. Developing a software package constitutes a fixed cost which, once paid off, allows the company to cash in almost all of the revenues as profits. While selling software products is lucrative, not all companies can operate at that level alone. Companies need to spend considerable amounts of money in marketing and maintaining distributor relationships. The software services market is quite different. Here, client companies need highly specialized solutions for their niche problems and seek expert suppliers to help them develop a perfect fit solution. As business problems become more complex and time-critical, businesses are becoming more dependent on customized solutions. In addition, fluctuating market trends require these solutions to be constantly updated to reflect and comply with the latest market requirements. The trend towards services is clearly evident even in larger corporations, such as IBM. An IBM income statement analysis from 1992 to 2002 reveals that IBM’s income from services rose from 23% to 45%, whereas the income from software licenses remain relatively steady at approximately 16% and hardware sales actually fell from 52% to 34% (Cusumano, 2004, p. 299). IBM’s income statement analysis illustrates the gradual move of the $600 billion industry towards software and focusing on services (Cusumano, 2004). Particularly interesting of this move in the industry is its implication for small companies and new industry entrants. Software services can be offered with minimal cash assets; hence, client companies will much more likely focus on the supplier company’s project portfolio rather than its financial assets. Specialized knowledge and skills are the main core competences required to compete successfully. Given that it is no longer unusual for a one-person organization to act as a supplier of a multi-billion dollar corporation, it is not surprising to see several hundreds of small organizations to transact with giant corporations. In fact, it is a win-win scenario for all parties involved, even the ultimate consumers at the end of the value chain. Freelancers are able to cut costs to a bare minimum because overhead costs are relatively insignificant. Furthermore, freelancers are much more flexible than large corporate service providers. For example, if contractual terms or deliverables need to be changed due to drastic market changes, freelancers can adapt faster and offer alternatives more rapidly than a corporate supplier. On the other hand, in small companies there is a higher dependency on particular individuals which might increase project risks; however, today’s fast-paced markets and constant technological advances have brought large corporations into a similar situation—even in large corporations there is often a strong dependency on particular individuals who act as the main driving force in a given project. Many corporations have realized that corporate suppliers carry significant overhead which increases project costs and reduces flexibility. Often these costs outweigh the advantages and independent contractors, such as small companies, are chosen to handle even larger software service contracts. Since many short-lived transactions take place requiring a diverse range of expert suppliers, turnover is relatively high; consequently, client corporations as well as smaller suppliers need to be able to transact and contract with each other relatively quickly. At the same time, project acquisition and transaction costs need to stay within reasonable limits. These needs have led to the emergence of specialized recruitment and staffing agencies, who either seek individual freelancers or subcontract their contracts directly to smaller, third companies. When large corporations are dealing with significantly smaller companies, whether through recruiter companies or directly, the issue of bargaining power becomes critical to the smaller party to the contract. Usually very intricate standardized form contracts are used on a “take-it-or-leave-it” basis which aims to optimize the corporate position of the contractual relationship. This tendency of larger corporations to corner small suppliers and possible remedies for potential one-sidedness are investigated in more detail in the guideline sections of this paper. Similar to the freelancer, independent contractor businesses act more or less the same but are usually larger in size and more complex in its dealings. The main characteristics of B2B settings are that suppliers are diversified, meaning that they deal with several customers concurrently, and that apart from rendering software services, companies in B2B settings normally sell software products as well. These hybrid companies then benefit from license sales as well as services as an additional source of diversification. This level of diversification is more costly than dealing with just one single customer, as in the freelancer’s case; however, this premium paid for additional sources of income gives many advantages for the company. First, such suppliers can counteract aggressive corporate negotiation tactics by showing that other lucrative sources of income exist and thereby close a more beneficial deal. Second, potential loss of income due to fluctuating market demands is compensated for by having surplus income sources. In many countries, setting up a limited liability company is prohibitively expensive for a one-person operation. For example, in Germany fees to establish a GmbH can amount to more than $7,000 and approximately $36,000 (EUR 25,000) need to be contributed to its existence by its founders, half of which must be contributed in cash (Gesellschaft mit beschränkter Haftung, 2008). In other countries, such as most common law countries, the costs involved in limited liability arrangements are negligible. Hence, it is common for even small one-person operations to opt for a LLC or corporation in countries where the costs of incorporating are low, and it is rather unlikely to operate as a freelancer GmbH in countries such as Germany due to the costs and capital contribution requirements involved. Apart from the costs involved in the creation phase, there are also taxation and liability which in turn have an effect on the image and flexibility of the company. From the plethora of characteristics and differences of all these different legal arrangements, the issues that are investigated in this paper relate to the company’s bargaining position and its liability exposure. For example, it is crucial for a business to insist on express conditions in a contract limiting or excluding consequential damages. If a negotiation of terms is not possible, perhaps due to a weak bargaining position or if an explicit risk allocation is sought by the buyer, it is essential to be incorporated with limited liability to protect the owners’ private property. The legal frameworks within the U.S. relevant to the discussion in this paper are the Restatement Second of Contracts and the Uniform Commercial Code (UCC). As the UCC focuses primarily on product sales, it is more relevant to software product sales through licensing. International transactions normally stipulate under which law the agreement is governed. Contracts between European member state companies are governed by the Principles of European Contract Law, which is based in part on the UCC and also on the core principles that all member states have in common (Burton & Eisenberg, 2007, p. 423). The United Nations Convention on Contracts for the International Sale of Goods (CISG) is another international treaty to which most key industrialized nations are committed (p. 360) and also of relevance only to software product sales rather than software services. This main section of the paper is organized on the general operational flow of software business transactions. First, transactions between two or more parties to a contract begin with the agreement process. At this stage several rounds of negotiations may occur, with several offers and counteroffers. The discussion will focus on the legal implications of offer and assent and then move on to the general topic obligation. The section on obligation will analyze key contract law doctrines, such as promissory estoppel and unjust enrichment and their application when interpreting contracts. The next key field of analysis is performance, as performance naturally follows the agreement phase and once an obligation to perform has been established. Several scenarios of excuse of performance and breach are considered with a range of remedies to be discussed. Finally the guideline section concentrates on two common sample scenarios and incorporates the preceding sections in the analysis of the efficient breach theory and a general discussion of covenants to not compete. A contract is defined in the Restatement Second of Contracts §1 as being an exchange of one or more promises which the law can enforce, or for which the law offers remedies in case of breach (Burton & Eisenberg, 2007, p. 195). The promisor promises his/her promise to a promisee. As a general rule of thumb, a bargain is generally a requirement to the formation of a contract, although exceptions apply, and it normally requires mutual assent and consideration. The Bargain Theory of Consideration. Consideration is a collective term for a bargained for exchange. For example, if A mows the B’s lawn in exchange for $50 then A valued the $50 higher than her time and effort and B saw more value in the lawn mown than in holding on to the $50. In this example, the receipt of $50 is consideration to A, whereas getting the lawn mowed is consideration to B. In essence, consideration in this case is an exchange of value. As a general rule to describe the principle, subject to numerous exceptions, promises or performances only constitute consideration when the exchange is bargained for, that is the offeree’s (the giver) promise is given because of offeror’s (the recipient) promise; hence, consideration is a single element of a bargain (Fuller & Eisenberg, 2006, p. 9). In the famous case Dougherty v. Salt, an aunt promised her nephew $3,000 during her lifetime because he “…had always done for [her], and [she has] signed this [promissory] note for [him]” (p.7). After her death, the nephew was not able to enforce the aunt’s promissory note because of a lack of consideration. Common law does not enforce gifts that are not supported by consideration, unless there is reliance on that gift promise by the promisee (Hillman, 2004, p. 18). The reliance principle is discussed in more detail in later sections. A bargain can also be stated as a reciprocal inducement (Fuller & Eisenberg, 2006, p. 17) whereby an important way to measure this inducement is the reasonable person “test”. In other words, for a promise to be enforceable a reasonable person must believe that the promise of one party induced the other to perform or promise. The actual motive of the party making a promise is irrelevant (Hillman, 2004, p. 18). Where the promisee receives a performance that constitutes consideration, it can be an act or forbearance. An act is, for example, sending a check while forbearance is the relinquishment of a legal right, such as forbearance to sue (Hillman, 2004, p. 18). Waivers, as part of many contracts, fall into the forbearance category, such as covenants to not compete. Hence, to voluntary surrender the right to sue someone in court is enforceable if it was supported by consideration, for example, the payment of a reasonable sum of money. But how much value received in return makes an exchange reasonable? Restatement Second of Contracts §79 states “if the requirement of consideration is met, there is no additional requirement of … equivalence in the values exchanged…” (Burton & Eisenberg, 2007, p. 219). Therefore, under “normal” circumstances, assuming the exchange was not unscrupulous, it does not matter whether equivalent values were exchanged or not. Possibly one function of this rule is to ensure there are no lawsuits because of parties realizing after having agreed that they engaged in an unprofitable bargain. Consequently, in such a scenario, contract law would correctly support private law making by enforcing the agreement. In the case Hancock Bank & Trust Co v. Shell Oil Co. (Fuller & Eisenberg, 2006, p. 51) the bank argued that “a lease for 15 years, which permits the lessee to terminate the lease on 90 days’ notice is so lacking in mutuality as to be void against public policy” (para 1). However, the court countered “…courts have traditionally declined to relieve a party from the terms of a contract merely because he made what he regards as a bad or uneven bargain” (para 1). Can a benefit incurred in the past be used as consideration in a bargain at the present time? Restatement Second of Contracts §86 states that is possible but only the “extent necessary to prevent injustice;” however, the general assumption is that “stale or delayed claims [lack] readily demonstrated merit” (Summers & Hillman, 2006, p. 155). The comments of §86 also state that the promise would not be binding “…if the promisee conferred the benefit as a gift, or for other reasons the promisor has not been unjustly enriched” (p. 156). It seems that §86 is to apply in rather exceptional cases where unjust enrichment would result in injustice if past consideration was barred. In the case Mills v. Wyman, a father’s promise to repay a family for the medical care expenses they incurred by taking care of his adult son was held unenforceable because the son had long left the father’s household and there was no preceding request by the father to take care of his son (Fuller & Eisenberg, 2006, pp. 152-155). What happens in situations where the party to perform is already under the duty to perform by the time the promise is made? This pre-existing duty is discussed in Lingenfelder v. Wainwright Brewery Co. (Fuller & Eisenberg, 2006, pp. 111-114), where the promisor demanded a higher price than previously agreed for his performance but the work to be performed remained exactly the same. The courts decision not to enforce the second agreement, which stipulated a higher price to be paid for the same work, can be also be asserted by emphasizing that there was a lack of reciprocal inducement in the second bargain. The promisor simply put the promisee under duress and threatened to stop work unless the higher price is paid. Under “normal” circumstances there would be no reason for a reasonable promisee to agree to pay a higher price for the same work previously agreed upon at a lower price. Contract Law and the Bidding Process. The bargain principle plays a critical role in the bidding process but it is not the only guiding principle. Software businesses, similar to construction subcontractors, often bid for many projects concurrently. It is common for drafts and offers to be revised and renegotiated. It is crucial for business managers to understand that certain behaviors during the bidding process may turn a valid offer unenforceable. Which offers are in fact enforceable and under which conditions? How can a business manager rely on an offer? Since business is conducted increasingly online from a distance, how does that affect offer and acceptance? Offers are enforceable by expectation damages, in other words, in case of breach the injured party will be placed in the position it would be in if the breaching party had actually performed. For this reason, businesses should be generally very careful when advertising and negotiating because they could run risk of unintentionally making legal binding offers when they actually intend to just attract interest in their company. According to Restatement Second of Contracts §§24 and 33, the offer must manifest a willingness to enter into a bargain and “cannot be accepted …unless the terms of the contract are reasonably certain” (Burton & Eisenberg, 2007, p. 204). Whenever an “offer” is too indefinite, that is it lacks specificity, courts will not enforce it because it is not clear what to enforce. This can actually be a double-edged sword. If the party writing the offer, the so-called offeror, actually wanted to make the offer binding but did not describe the bargain with a reasonable degree of detail, it would theoretically leave a backdoor open for the recipient, the so-called offeree, to rescind after acceptance claiming the “offer” was not interpreted as such because it was too indefinite. Conversely, this rule can be used as a strategy to attract customer attention without running risk of entering a specific bargain. For example, an advertisement could be stated unspecific enough to not constitute an offer but just enough to invite customers to the store and attract attention. Unfortunately, this grey area is risky as evident in the case Lefkowitz v. Great Minneapolis Surplus Store, where the store advertised as follows: “Saturday 9 A.M. Sharp, 3 Brand New Fur Coats Worth to $100 First Come First Serve $1 Each” (Fuller & Eisenberg, 2006, 417). This ad was enforced by the court because it “was clear, definite, and explicit, and left nothing open for negotiation” (p.419). Hence, the guideline for managers is to make offers as specific as possible and to refrain from specifics, such as price, quantity, and condition, when a mere invitation is sought. Offers either intend a unilateral or bilateral contract. Bilateral contracts are an exchange of promises while unilateral contracts exchange a promise for an act. In the first case, acceptance is accomplished by a promise and in the latter case acceptance requires an act, not a promise. For example, in a bilateral contract a piano is sold for a promise to pay $100 which means that promising to pay $100 constitutes an acceptance. A unilateral contract would suggest that the piano is sold (and the offer accepted) by the act of actually paying $100. A mere promise to pay would not suffice in a latter scenario (Hillman, 2004, p. 47). Again managers need to watch the precise wording of their offers and acceptances to avoid misunderstandings. There are several incidents that terminate the offeree’s power of acceptance. As soon as the offeree counteroffers, the offeror is excused from any obligation because a counteroffer is effectively the equivalent of a rejection as described in §§38 and 39. This is because under the mirror image rule, an acceptance must generally mirror back precisely the offer stated. Therefore, unless the party rejecting or counter-offering clearly states the intent to further consider the original offer, a counteroffer will terminate the original offer and excuse the offeror, just as with an outright rejection. The case Ardente v. Horan (Fuller & Eisenberg, 2006, pp. 430-432) illustrates the problem. Two parties agreeing to buy residential property sent, along with a check, a request that “…items remain in the real estate…” and that the party would appreciate receiving a confirmation that “…these items are part of the transaction”. Clearly, due to the conditional nature of the response no acceptance was formed because the writing constituted a counteroffer and rejected the original offer. The Restatement Second of Contracts §36 states an offer can be revoked by the offeror before acceptance. Further, offers can be terminated by lapse of time, rejection, or the incapacitation of the offeror (Burton & Eisenberg, 2007, p. 204). If no time is specified, a reasonable period is assumed, for example by referring to general trade usage (Hillman, 2004, p. 50). Revocation is generally barred for option contracts because the offeror has received consideration for keeping the offer open for a certain period (Fuller & Eisenberg, 2006, p. 443); however, a signed option “reciting a purported consideration” is enough to constitute a binding option contract that bars revocation (p. 54). As soon as a party to a unilateral contract begins performance in reliance on the offer and even though the act has not been completed yet to signify acceptance, the offeror is barred from revoking the offer to prevent injustice (p. 55). In Drennan v. Star Paving Co. the contractor made a mistake in an ordinary bid but because the general contractor had relied on the contractor’s bid it was found enforceable because “…the loss resulting from the mistake should fall on the party who caused it” (Fuller & Eisenberg, 2006, p. 451). Hence, revocation is barred if the other party acted reasonably when relying on the offer. The revocation of an offer must be received by the offeree before it is effective; however, an acceptance is good when posted (Hillman, 2004, p. 61). These so-called mailbox rules also apply to asynchronous electronic transmissions. Restatement §64 holds that whenever the communication medium is bidirectional and substantially instantaneous, the same rules apply as when parties are in the in a face-to-face meeting (Burton & Eisenberg, 2007, p. 213). According to these rules it follows that an acceptance sent by email should be enforceable given that the probability of email communications getting lost is roughly equivalent to that of physical mail. The suggestion to practitioners is to make the acceptance valid upon receipt by using an express condition in the offer. The discussion regarding offers raises the question of how assent can be given to be enforceable. The case Klockner v. Green illustrates how assent is given by act (Fuller & Eisenberg, 2006, pp. 463-465). In the case, an elderly woman promised that she would compensate Richard, who took care of her, by leaving her real estate to him if he would continue to take care of her until her death; however, she never altered her will. The court found that the plaintiff had fully performed and that the “decedent has received the full benefit of her bargain…[leaving] no real doubt as to the existence of a contract” (p. 465). In Polaroid v. Rollins Environmental Services, the two companies had an agreement whereby the purchase orders indemnified Polaroid from liabilities that can result from hazardous waste spills. Rollins never returned an acknowledgment containing the indemnity language; however, the court found that by conducting and not actively refusing to work under the indemnity clause, Rollins effectively accepted it and was held liable for the damages caused (Fuller & Eisenberg, 2006, pp. 475-478). Therefore if a business starts working on a project where the contract’s formal writing, such as terms and conditions, is not yet written, the parties have already formed a contract and acceptance has been signaled by the commencement of work. In some markets and industries it is common for software development work to commence before the contract formalities are completed. For example, before the final price is negotiated with the procurement department of a corporation companies start already rendering their services to the functional departments in need. Restatement Second of Contracts states in §56 “…where the offeree has performed in whole or in part, notification to the offeror is not essential to acceptance…” (Burton & Eisenberg, 2007, p. 210). Thus, the trade usage of commencing work constitutes assent even though the offeror was not expressly notifying that work in fact commenced. Sometimes a general uses and publicizes that it is using the bid of a specific subcontractor. Does it constitute assent to use a subcontractor’s bid as a general contractor and can the subcontractor enforce the deal based on that fact alone? The answer to this problem was analyzed in the case Holman Erection Co v. Orville E. Madsen & Sons Inc. The court found that while there is reliance on the part of the general contractor, there is no reliance by the subcontractor. The position of the parties is hence disparate and enforcing this “contract” would be unjust; therefore the mere listing of the subcontractor’s name did therefore not suffice to create a binding contract (Fuller & Eisenberg, 2006, pp. 478-484). Evident from the cases revolving around the issue of assent is that an objective, “reasonable-person” test is used to determine whether an acceptance took place. For instance in Phillips v. Moor an offeree was not notified that his acceptance arrived too late. The plaintiff acted in good faith and accepted in a reasonable time but the defendant failed to promptly notify the offeree of his retraction; hence, he was held liable (Fuller & Eisenberg, 2006, p. 488-490). The reasonable person test would also conclude that parties have essentially accepted a contract if they benefit from services rendered without rejecting them while knowing that such services are rendered for remuneration. In Laurel Race Courses v. Regal Const. Co, an oral proposal was made in the presence of witnesses and greeted with silence. The company then went on and completed the work. The court found that such silence is an exception to Restatement §72, which holds that silence generally does not form an agreement, and enforced the oral contract (p. 495). Two more situations that create assent are implied-in-fact and implied-in-law contracts. In Nursing Care Services v. Dobos, patient had received medical care because it was absolutely necessary for her health. The fact that she assumed the insurance would cover the cost did not excuse her from her obligation to the clinic to pay the medical expenses because her duty to the clinic was implied-in-law. It would unjustly enrich Dobos to not repay the clinic so an implied contract is “read into the situation” to prevent injustice (Fuller & Eisenberg, 2006, p. 508). Implied-in-fact contracts on the other hand involve the situation that assent was implicit rather than explicit. For example, a signal between two parties who are aware of its meaning can be interpreted as assent even though it was not expressly stated. One last challenge for practitioners in the bidding process is the negotiation prior to the final agreement stage. Often the question arises whether the negotiation itself is binding or not. Courts find it impossible to enforce an agreement that is too indefinite, as in Academy Chicago Publishers v. Cheever (Fuller & Eisenberg, 2006, pp. 537-540) where a publisher wanted to enforce negotiations about writing short stories that were not precisely defined in form and quantity. However, there is an implied duty to bargain in good faith during preliminary negotiations and if there is reliance by one party the negotiation may be interpreted as an agreement and deemed enforceable by the court. In the legal battle Channel Home Centers v. Grossman this was the case because there was an intention to enter into a binding agreement and sufficient specificity to interpret the negotiation as a contract (pp. 548-556). Obligations to a party can arise from several other conditions and sources. The following doctrines emerged primary to prevent injustice. First, the doctrine of promissory estoppel protects the party who reasonably and justifiably relies on another’s promise. This doctrine is stated in §90 of Restatement Second of Contracts and distinguishes a plain donative promise from one where the promisee relied upon it and thereby endured an injury. The action or forbearance that was induced by the promisor must have been reasonable and justified for remedies to be awarded, however. The famous case Dougherty v. Salt is an example for a simple donative promise, whereas the case Walters v. Marathon Oil Co describes the promissory estoppel scenario. The Walters relied on the oil company’s promise and invested thousands of dollars to purchase a service station but the oil company later rejected to sign the agreement. Naturally, it would have been unjust not to enforce their promise because the Walters had relied and depended on the oil company’s supply contract (Fuller & Eisenberg, 2006, pp. 45). Second, unjust enrichment incurs an obligation when a party receives a benefit but does not redeem the other party for the benefit received. Unjust enrichment is a parallel to implied-in-law contracts, which were described earlier, and has several synonymous names, such as quasi-contract, restitution, and quantum meruit (Hillman, 2004, p. 88). This doctrine tries to resolve the unfairness that occurs when one party conferred a benefit to another which under normal circumstances needs to be compensated and is understood to be rendered for payment only. For example, if a builder is hired to do some work on a site and the buyer rescinds the deal before the builder is finished, the minimum damages the builder should receive are restitution damages. The reason for this is that the builder incurred costs (material, labor, opportunity costs, etc.) and the buyer would unjustly enhance his/her position by holding on to this benefit without compensating the builder (Hillman, 2004, p. 91). Third, warranties involve a promise of specific product or service qualities, which when not achieved create an obligation on the promisor. The Uniform Commercial Code (UCC), which mainly regulates the sale of goods, provides in §2-313 that express warranties that are part of the bargain can be stated even without the words “warrant” or “guarantee” as long as they are based on a product sample, a description of the product, or a promise or statement of fact made by the seller (Burton & Eisenberg, 2007, pp. 48-51; Hillman, 2004, p. 101). The practitioner is thus urged to refrain from exaggerations or misrepresentations that would induce buyers to purchase the product. Section 2-314 follows to describe the impact of implied warranties on the seller. There is an implicit assumption about the quality of a product which the buyer presumes based on trade usage, advertising, and other factors. The buyer’s assumption of minimum quality standards needs to be met as an implied warranty, especially if the seller knows or has reason to know how the consumer will use the product (Hillman, 2004, p. 106) as stipulated in §2-315. The good news for sellers is that §2-316 allows the limitation of liability occurring from warranty claims, provided that it is brought to the purchaser’s attention in writing and in a conspicuous way. Furthermore, it is important for software companies to be aware of subsection c stating “…an implied warranty can also be excluded or modified by course of dealing or course of performance or usage of trade” (Burton & Eisenberg, 2007, p. 53). Hence, if two parties had agreed in prior deals to exclude liability for consequential damages, their future conduct will remain congruent with the term limiting liabilities of their prior agreement. Obligations can also arise from torts because a tort represents an unreasonable interference with the interest of others. For example, in the case Mauldin v. Sheffer, an architect sued a mechanic engineer for damages because of the engineer’s negligence. The engineer’s design had several errors and those errors were the cause of the architect losing the project contract (Summers & Hillman, 2006, pp. 159-164). The attention of practitioners should be drawn to this issue because there is an implied “…obligation to exercise a reasonable degree of care, skill, and ability” when developing a product or rending a service. Trade usage is probably one of the most useful and intuitive reference point to which degree of care is reasonable in this respect. To the practitioner this is probably the most crucial point in the business transaction, requiring the manager’s full attention. In cases where small companies deal with large corporations, the interpretation process will focus on understanding the implications imposed by the terms and conditions dictated by the other party. This assumes that form contracts are “forced upon” the smaller company because of a great imbalance of bargaining power. In cases were terms are actually negotiable, such as in situations with partners equal partners, the interpretation process should focus on avoiding misunderstandings, misrepresentations, and mistakes. Attention should be paid to reflecting the purpose of the contract clearly and without gaps in as much detail as is reasonable. In addition, the written contract should be integrated as much as possible, meaning that prior agreements relating to the deal should be restated and other agreements should be isolated if they relate to another project. The phenomenon that communication is imperfect, regardless of whether it takes place in a written or oral form, had already been realized by philosophers of ancient history. It is therefore impossible to create a writing to reflect every single detail of an agreement without leaving gaps and introducing ambiguity. Fuller and Eisenberg (2006) interestingly point out that striving towards such an idealized goal is not only impossible but would also raise transaction costs to an unreasonable and impractical level. Frequently projects or products expose companies to risks that are perceived to be minuscule; hence, it would be irrational to even investigate what future conduct would be desired should that unlikely event occur in actuality. From an economic perspective it is much more practical to intentionally risk proceeding with the uncertainty rather than to get stuck and spend valuable resources into analyzing “what-if” scenarios. However, the overabundance of cases regarding contract interpretation issues gives reasons to suspect that managers tend to err on the side of risking too much rather than being wasteful by engaging in overzealous disaster analysis. Section 201 of the Restatement of Contract resolves the question of whose meaning prevails in the interpretation of a contract (Burton & Eisenberg, 2007, p. 254). Since at least two parties are involved in a contract, there are several outcomes that may occur. If the parties differ in their interpretation of a meaning compared to the public but they both parties actually agree in their own mutual interpretation of the term, then that meaning prevails. If there is no mutual understanding in what is meant, there is no assent to the terms at all, provided that both parties were not aware of their misunderstanding at the time the agreement was made. In the famous case Sherwood v. Walker, a cow was sold for $80 thought to be barren but it turned out later that the parties were mistaken and the cow was with calf at the time it was supposed to be picked up (Fuller & Eisenberg, 2006, pp. 733-739). Here clearly the parties had contracted for a barren cow but since the cow was not barren the mutual mistake of the parties rescinded the deal. If the mistake is unilateral, §§153 and 154 hold that if the other party knew about the other’s mistake at the time the agreement was made, or the enforcement of the agreement would result in an unconscionable result, the contract is voidable. In cases were the risk of the mistake was expressly allocated to the party committing the mistake or when there is “conscious ignorance” by the mistaken party, the contract is enforced. Conscious ignorance describes the state when the mistaken party effectively allocated the risk upon itself by treating its limited knowledge about the situation as sufficient and certain enough to enter an agreement. This strategy is probably followed by courts to prevent parties trying to rescind a bad bargain. Whether a contract is complete or not as it is written has also been a major area of conflict (Fuller & Eisenberg, 2006, p. 591). Restatement Second of Contracts section 213 forms the central part of the parol evidence rule. Unless an agreement is completely integrated, meaning that it contains an express term stating that it is complete in its scope, a so-called merger clause, then extrinsic evidence cannot be provided to prove otherwise. Otherwise, an agreement is only partially integrated meaning that it captures only part of the overall agreement. This can occur either due the parties’ neglect or because the term is usually omitted in writing. In such cases, additional evidence can be brought in that adds to but does not contradict the writing (p. 593). In standard form contracts, depending on the surrounding circumstances, court may give little weigh to merger clauses (p. 602) because of the bargain might not have involved negotiation. The more modern view deviates from the traditional “four corners” approach. In the past, the classic view was objective and the court’s focus remained limited to what was stated the document; however, a more purposive interpretation of contracts is only possible by looking beyond the actual writing (Hillman, 2004, p. 244). The course of dealing and past performances of parties, as well as general usage of trade sometimes needs to be considered to truly reflect the relevant surrounding circumstances. This process is essentially that of gap filling and is an attempt to avoid forfeiture because of possible ambiguity in the writing. For example, in Pacific Gas & Electric Co. v. G.W. Thomas Drayage & Rigging Co, an indemnity clause provided that the plaintiff is indemnified “against all loss, …and liability resulting from … injury to property” (Fuller & Eisenberg, 2006, pp. 615-617). When damage was done to the plaintiff’s property, the suit followed; however, the defendant alleged and proved through extrinsic evidence that the clause was meant only to cover only third-party damage. Hence, even though the evidence contradicted the writing, proof was ultimately admitted to provide that the clause had a different meaning than when read by an outsider. Not to be missed, however, is the fact that this was the verdict of the Supreme Court of California. The potential cost of litigation at this stage should defer companies from risking such clauses lacking detail and encourage more meticulous and specific writing when contracts are formed, especially when liability issues are involved. Express conditions are intentional and expressly stated by the parties usually performed before a promise is effective, as in condition precedent (Hillman, 2004, p. 267); hence, the other party’s performance is excused if the event stipulated in a condition precedent does not occur. For example, the merger of a corporation can be made conditional to the approval of the Commissioner of Internal Revenue (Fuller & Eisenberg, 2006, p. 934). Implied conditions are “imposed by law to do justice”, for example concerning the order of performance (p. 938). When there is doubt whether the express condition is actually a promise or a condition, the court will assume a promise (2006). Express conditions can result in overly harsh results; consequently, they can be avoided by the doctrine of unjust enrichment and judicial interpretation (Hillman, 2004, p. 272). Forfeiture, an excessive harm or penalty, can result if certain express conditions are enforced. Courts then use the doctrine of unconscionability to prevent an overly harsh, one-sided, and exploitative outcome. Forfeiture via express conditions can occur in software development contracts when liquidated damages are agreed upon that vastly exceed real damages. These immoral tactics are used by some companies abusing their superior bargaining position as a means for inducing performance. For example, in a contract that pays effectively $50 per hour for a service to be rendered, the buyer stipulated a liquidated damages clause alleging that the buyer’s damages amount to $2000 per day if no service is rendered. When instructed to explain how these amounts were made up the buyer explained that if the seller goes off and finds a better deal paying considerably more than $50 then his damages were higher than just $50 per hour. Obviously measuring the damages in this fashion was clearly unconscionable and these liquidated damages clauses were held unenforceable. Policing Doctrines. Policing doctrines protect contract victims from unfair results resulting from the way the agreement was made and from the end-result of the agreement. These doctrines severely limit the so-called freedom of contract in cases were the contract was not formed freely and justly (Hillman, 2004, p. 191). An obvious doctrine is duress. When a party exploits another financially it imposes economic duress on the other party, for example by charging a multiple of the market price on a given product (Hillman, 2004, p. 195). Hillman (2004) proposed the following test for duress. First, was the motivation to exploit the buyer? Second, were there other reasonable sources for the buyer? Third, would the accused party have created the same gains if not by duress? If all points apply, a duress claim will probably have merit. When contracts are written, sometimes misrepresentation can occur. Some are caused innocently while some result from negligence. When there is reliance on a material but misrepresented fact, the injured party may rescind and recover damages so s/he can be put in the position before the bargain (Hillman, 2004, pp. 199-200). A warranty claim could also be formed on the basis of the misrepresentation and the injured party could seek expectancy damages. The situation becomes even more serious when the misrepresentation of a relied upon, material fact is fraudulent. In that case even punitive damages are possible because the matter turns into a serious tort (p. 201). The case Hill v. Jones, describes a fraudulent concealment and the duty to disclose. The seller of a house did not mention the termite infestation to the buyers and the buyers relied on the termite inspection to reveal a history of infestation; however, the inspection did not reveal that in the past the house was infested and needed to be repaired (Fuller & Eisenberg, 2006, 757-761). As with express conditions, the recommendation to practitioners is to take great care when preparing contracts, to avoid negligence and obey the duty to disclose in cases that could result in a tort otherwise. When contracts are written or presented to a party to be interpreted it is also very important for the practitioner to be skeptic about exculpatory clauses that are clauses in a contract trying to limit one party’s liability and impose the risk on the other party. The case Weaver v. American Oil Co. describes a lease agreement were the “[l]essor, its agents and employees shall not be liable for any loss, damage…whether due in whole or in part to negligent acts or omissions of Lessor, its agents or employees [emphasis added]” (Fuller & Eisenberg, 2006, pp. 696-699). This clause was imposed on the lessee as a standard form contract who was an individual leasing a filling station. The court found that this clause and the overall contract was unconscionable because this clause, if enforced, would cause “great hardship and risk on the lesser party…[and] should not be enforceable on the grounds that the provision is contrary to public policy” (p. 699). Apart from the fact that the situation resulted in a overly one-sided, unenforceable agreement, the court added that for exculpatory clauses to indemnify one of his negligence is generally possible; however, “it must be done knowingly and willingly [emphasis in original]” and there must be “…in fact a real and voluntary meeting of the minds and merely an objective meeting [emphasis in original]” (p. 699). Exculpatory clauses are a rather uncertain terrain because some courts uphold them while other courts refuse to enforce them (Hillman, 2004, p. 210). The practitioner is warned to not rely on exculpatory clauses for his/her own protection and to be alert to the possibility of unconscionability, the extreme one-sidedness and harshness that could result if a contract term is enforced. Software companies and freelancers dealing with much larger partners who have stronger bargaining power are the most likely group to fall into the trap of agreeing to an unconscionable contract. The subject of unconscionability was already mentioned in connection with exculpatory clauses and in the case of Weaver v. American Oil Co. (Fuller & Eisenberg, 2006, pp. 696-699). The Restatement Second of Contracts §208 defines unconscionable contracts or terms and states that to detect unconscionability “the light of [the contract’s] setting, purpose, and effect” needs to be considered (Burton & Eisenberg, 2007, p. 257). While an “inadequacy of consideration does not of itself invalidate a bargain, but gross disparity in the values exchanged may be an important factor in a determination that a contract is unconscionable and may be sufficient ground…to deny specific performance“ (p. 257). Hence, as in the case Batsakis v. Demotsis, the “mere inadequacy of consideration will not void a contract” but a “gross disparity” would be a red flag to watch out for. Comment d of §208 goes on to explain further that “gross inequality of bargain power”, such as the case when an individual deals with a medium-sized company and above, “together with terms unreasonably favorable to the stronger party…may show that the weaker party had no meaningful choice…or did not in fact assent or appear to assent to the unfair terms” (2007). Furthermore, the comment continues “[f]actors which may contribute to a finding of unconscionability in the bargain process include…knowledge of the stronger party that the weaker party is unable to reasonably protect his interests by reasons of …ignorance…or inability to understand the language of the agreement, or similar factors” (2007). Some unconscionable standard form contracts used by exploitative and unethical companies can span up to 15 pages of small print with intricate patterns of cross-references. The language used is very technical and elaborate and falls into the category described in the comment d of §208. When even lawyers and judges find it demanding to follow the cryptic language of an agreement that is supposed to be read and signed by a layman, there is obviously a high probability that that “agreement” constitutes an unconscionable, exploitative offer which is against public policy and should be rejected. There are several reasons why smaller software service companies and freelancers fall into the trap of signing unconscionable contracts. One is that most of these companies and individuals have very limited to no legal knowledge. Second, the value of the transaction is usually too low compared to the overall expenses that would incur if legal advice was sought for every single contract signed. The number of contracts signed is usually a large multiple of the number of actual transactions leading to business. For example, a freelancer would sign up with up to a hundred partnering recruitment agencies of which only one in six months would probably result in an actual assignment through a recruiter. Since these agencies change their agreements frequently, it is unaffordable for the small company to seek legal advice for every single contract signed. Since the contracts have to be signed long before any information is exchanged, this scenario clearly falls into Restatement Second of Contracts §208 if the terms are overly one-sided, as described in the article. Hence the criterion stated in comment d of §208 is fully applicable considering the surrounding circumstances of such transactions: “…knowledge of the stronger party that the weaker party is unable to reasonably protect his interests by reasons of …ignorance…or inability to understand the language of the agreement, or similar factors” (Burton & Eisenberg, 2007, p. 257). The above discussion focused on procedural unconscionability, the fact that the bargaining process was unfair (Hillman, 2004, p. 214). The case Weaver v. American Oil Co. (Fuller & Eisenberg, 2006, pp. 696-699) described substantive unconscionability, meaning unfairness in the contract itself because in the case, American Oil Co., a large corporation, imposed the liability of their own negligence to the lessor, an individual, on a take-it-or-leave-it basis. Unfortunately, these sources of unfair and exploitative agreements are common and result frequently in disputes; therefore, practitioners should be very sensitive to one-sided terms and conditions, especially when they have no power to negotiate them. It is better not to risk agreeing to an unconscionable contract because victims cannot automatically rescind the deal without litigation and paying the tremendous costs involved in receiving justice. Performance: What are the Rules during Performance? Duty to Perform in Good Faith. The Restatement Second of Contracts §205 states in short form the doctrine that both parties to an agreement have the duty to perform in good faith (Burton & Eisenberg, 2007, p. 256). This “implied covenant of good faith and fair dealing” is part of every contract and imposes on both parties the obligation that “..neither party shall do anything which will have the effect of destroying or injuring the rights of the other party to receive the fruits of the contract”, as stated in the case Kirke La Shelle Co. v. Paul Armstrong Co. (Fuller & Eisenberg, 2006, p. 890). Bad faith examples include “evasion of the spirit of the bargain, lack of diligence and slacking off, willful rendering of imperfect performance, abuse of a power to specify terms, and interference with or failure to cooperate in the other party’s performance” as stated in the comments of §205 (p. 892). Hence, it sends out a warning to companies delivering substandard work on purpose or who slack off intentionally as a power demonstration aiming to harm the other party. Bad faith behavior is often also seen in conjunction with unconscionable agreements between parties who have a great imbalance of bargaining power. Grounds for Excusing Performance. Several conditions can preclude a party from performing and the court can excuse a party, for example in the case of impossibility, mistake, or impracticability. If a party can be excused, the question arises whether damages can be recovered. Courts may award restitution damages; however, one critical issue is that of express or implied risk allocation (Hillman, 2004, p. 318). Which party did expressly or impliedly accept the risk of the unanticipated event? A mistake can be mutual or unilateral and material or immaterial. First what is a mistake in the legal sense? Mistakes in the legal meaning of the word relate to the “basis of a set of facts” that parties based their contract on. If the parties assumed a fact that is substantial to their agreement and that fact turned out false, it was a mistake. The case with the barren cow mentioned in previous sections is a clear example of such a mutual mistake. However, if the parties have reason to know that their knowledge about a supposed “fact” is limited and it later turns out that their assumptions were wrong, then the legal sense of the word mistake does not apply (Hillman, 2004, p. 301). In Raffles v. Wichelhaus (Fuller & Eisenberg, 2006, pp. 374-375) two parties referred to a ship names Peerless; however, they both meant different ships registered at different cities and arriving at different schedules at the same port. Unilateral mistakes, so-called “mechanical errors” (Fuller & Eisenberg, 2006, p. 715) can occur at times and supposed to be transient. The case Donovan v. RRL Corp. (pp. 715-725) describes the instance a car dealer’s marketing department failed to proofread a newspaper ad which stated that a used Lexus was for sale at $25,995 when it was supposed to be listed at $37,995. The car dealer had paid $35,000 for that car; hence, enforcing that price would have resulted in a windfall for the plaintiff. The court concluded that the company may rescind based on the grounds that it made a unilateral mistake of fact. A party can be excused when performance becomes impossible. Often it is an implied or “tacit assumption” as Fuller and Eisenberg (2006) call it, that the continuous existence of a thing is a basic prerequisite of performance. When the assumption is so fundamental and deep-rooted that it does not reach the level of consciousness, then an assumption is called tacit (p. 769). For example, the case Taylor v. Caldwell (pp. 765-769) describes how a concerned hall burned down after the agreement was made but long before performance began. In that case both parties were excused on the grounds of impossibility. When a party implicitly relies on a supplier to deliver a materially important material and then later that supplier becomes insolvent, the party may not be able to practically perform its own duty. If there are no other reasonable sources to obtain that critical part that the insolvent supplier was supposed to deliver, a party can be excused from a contract if it had not assumed the risk for such an occurrence. In Selland Pontiac—GMC Inc v. King, the “…supply of Superior bus bodies was a basic assumption on which the contract was made. These became impracticable to supply when Superior ceased manufacturing” (Fuller & Eisenberg, 2006, p. 800). The court pointed out that “…both parties …had no knowledge of Superior’s questionable financial circumstances … and King did not expressly assume the risk of Superior’s ceasing production” (p. 801). Consequently, King had no reason to know of a potential delivery problem on Superior’s behalf and did not expressly assume that risk to its clients. The grounds of excusing performance are critical for practitioners to know because it would be unfair to enforce contract under the circumstances described above. When material mistakes are found, or an impossibility or impracticability of performance is established, parties are usually excused and remedied may or may not be awarded at the court’s discretion. Usually remedies are based on the judicial approach or the doctrine of judicial reformation to the extent that justice requires (Hillman, 2004). Breach: What to do when things go wrong? So far the discussion concentrated on issues before performance. When performance is not taking place as expected sellers will be very anxious to determine which claims can be made against them, whereas buyers will seek to be compensated for their damage. Generally and under normal circumstances, contract law does not impose penalties on any party, neither are punitive damages or damages for emotional distress awarded (Hillman, 2004, p. 178). The Restatement of Contracts states in §355 that “[p]unitive damages are not recoverable for a breach of contract unless the conduct constituting a breach is also a tort for which punitive damages are recoverable” (p. 178). These general guidelines should help practitioners understand that courts will not enforce unconscious clauses used by unethical companies imposing liquidated damages provisions on weaker parties that are in far excess of actual damages. Such liquidated damage clauses are meant to act as penalties and as means of creating pressure upon the other party. According to §356 of the Restatement of Contracts Second, such clauses are unenforceable because they are unconscionable and against public policy (Burton & Eisenberg, 2007, p. 304). Breach by the party who promised to perform services. In Koufos v. Czarnikow Ltd., a cargo ship carrying sugar arrived nine days late at the port because the vessel made deviations, the buyer sued for damages resulting from the drop of sugar price that occurred in the meantime. The court held that such a risk was reasonably foreseeable and should be compensated (Fuller & Eisenberg, 2006, pp. 285-287). Conversely, in the old case Hadley v. Baxendale, the courier carrying a shaft for a mill was sued because the delayed delivery of the shaft to the repair facility took longer than expected and the mill had to stop its operation (pp. 279-283). The court refused to award consequential damages because this type of loss was not communicated to the courier and the courier was not aware of such a dependency; thus, the claim was held unforeseeable. The court reasoned if the courier had known the surrounding circumstances before hand, it would have either charged a much higher premium or it would have refused to commit to such agreement altogether. Breach by the party who agreed to have services performed. When the buyer breaches, an implied duty to mitigate damages applies. Within reasonable time after knowing about the buyer’s breach, the party performing the services is supposed to limit its exposure to further damage by terminating any outstanding work. The case Rockingham County v. Luten Bridge Co. exemplifies this duty (Fuller & Eisenberg, 2006, p. 266-269). The county had notified in advance that it was not going to build the street for which the bridge was needed; however, the construction company ignored the county’s rescission and still built the bridge. The builder tried to sue to the county for damages but the court denied enforcing the contract beyond restitution of costs at the time of rescission because the builder had the duty to mitigate its damages as soon as it was notified of the buyer’s breach. Substantial Performance versus Material Breach. When one party breaches, the party seeking recovery will probably want to obtain the highest amount of damages possible. On the other hand, the party in breach will strive to prove that its breach was immaterial and thereby minimize its potential exposure to paying significant amounts as damages. The doctrines of substantial performance and material breach have therefore a common basis—they both seek to compensate the injured party but the perspective is different. The doctrines are located at the opposite end of the spectrum: if a party has substantially performed, then the breach is minor, minimal, and immaterial by definition; conversely, if there is a material breach, the breach is major and there substantial parts of the agreed upon performance are missing (Fuller & Eisenberg, 2006, p. 992). At the core of a typical dispute, it is not uncommon that parties disagree on whether the breach is material or immaterial. Considering the following scenario illustrated by Fuller and Eisenberg (2006) one can readily observe how the doctrine of material breach can be used in a typical dispute between two parties. If A is to perform and breaches early in its performance and as a result B rescinds claiming that A has totally breached, A may counter by accusing B of material breach, alleging that A’s breach was not sufficient to be justify B’s reaction (p 993). If A has already substantially performed, A can invoke the doctrine of substantial performance to claim the contract price less any damage caused from the B. Software service contracts are usually such that either the software developer needs to fully perform before payment is tendered, or when risks are to be distributed more fairly, as in the case of larger projects, payments are to be tendered in installments. A typical scenario occurs when the party receiving the services does not make the payment on time. In that case, the party performing the services has a claim at least for partial breach resulting from the delay of payment. This scenario is described in Restatement Second of Contracts §237 and its comments (Fuller & Eisenberg, 2006, p. 994); however, “… [i]f B [the party in breach] offers to make the delayed payment and in all circumstances it is not too late to cure the material breach, A’s duties to continue work are not discharged”. The scenario is different when an unreasonable time passes, say one month, and no assurances or justifications of B follow to finally make the outstanding payment, then “it is now too late to cure” and A is effectively discharged from its contractual obligations. Moreover, “A also has a claim against B for total breach of contract…” (p. 994). As payment related claims are very likely occurring on a regular basis, this section in the Restatement Second of Contracts is essential for daily business transactions because it sets forth how the injured party can defend itself and what remedies it can expect. Expectancy Damages. Expectancy damages are awarded to put the injured party into the position it would be in if the other party had fully and satisfactorily performed (Hillman, 2004, p. 134). These damages, even though they rarely make up for the injured party’s actually damage in money, are computed by taking the market price of the contract value at the time of performance minus the damages incurred (pp. 134-135). In any case, since remedies within contract law are not to impose penalties on the breaching party, there are limits to expectancy damages. In Peevyhouse v. Garland Coal & Mining Co. the lease stipulated that the lessee would restore the land after its mining operations are completed; however, the cost of doing so amounted to $29,000 whereas the increase in property value after such a restoration was $300 (Fuller & Eisenberg, 2006, pp. 220-227). The court found “…it is highly unlikely that the ordinary property owner would agree to pay $29,000…for the construction of “improvements” upon his property that would increase its value only about $300” (p. 221). For that reason, damages were limited and the court awarded only $300. Since software is sometimes used to operate machinery or to control very important business processes, there is a chance that an even low-priced software product may potentially cause enormous damage if it malfunctions. The issue of consequential damages already arose in the discussion of Hadley v. Baxendale (Fuller & Eisenberg, 2006, p. 279-282) when the courier delayed the delivery and the mill had to be stopped as a result. The foreseeability of consequential damages at the time of contracting to both parties is one of the key hurdles that courts set before consequential damages are awarded. Furthermore, damages of this kind need to be proved with reasonable certainty before they can be awarded (Hillman, 2004, p. 143). Reliance Damages. When party relies on another and invests in the agreement before the other party breaches, it is entitled to receive damages. For example, in Security Stove & Mfg. Co. v. American Rys. Express Co., a courier had to pay damages because it was expressly made aware of the potential damage of a late delivery (Fuller & Eisenberg, 2006, pp. 341-345). The courier was to deliver a range of boxes to an exhibition but several key parts arrived after the day of the exhibition. In reliance on the courier, which was foreseeable and expressly communicated to the courier, the injured party had leased exhibition space and accommodation for its employees. Because the courier was late with its delivery, no exhibit was possible and the courier was thus ordered to repay the damage caused. Restitution damages. The requirement for restitution damages to be paid is stated in the Restatement Second of Contracts §370, which holds that “a party is entitled to restitution…only to the extent that he has conferred a benefit on the other party by way of part performance or reliance” (Burton & Eisenberg, 2007, p. 308). The illustrations 2 and 5 give a clear idea to the nature of restitution damages: if A builds a machine for B and spends $40,000 half-way in the process and B repudiates, A has no restitution claim because there was no benefit conferred to B. In the next scenario, “A, a social worker, promises B to render personal services to C in return for B’s promise to educate A’s children. B repudiates the contract after A has rendered part of the services. A can get restitution from B for the services, even though they were not rendered to B, because they conferred a benefit on B” (Fuller & Eisenberg, 2006, p. 350). The parallels between the restitution damage measure and the doctrine of unjust enrichment are obvious. The first scenario did not constitute an unjust enrichment because the machine, not having been completed, was neither functional nor valuable in anyway for B. In the second scenario, the services had begun already and simultaneous to the delivery of services, a benefit was conferred. Clearly, it would result in an unjust enrichment if the social worker could not claim damages in that scenario. Moreover, the scenarios also touch on the subject of the divisibility of deliverables and contracts. As large projects are usually broken down into many subprojects and deliverables, it makes sense to recommend to practitioners to break down each larger project into deliverables that would also stand on their own in isolation with limited dependency to the whole delivery. By using this strategy the practitioner can claim restitution damages at least for every deliverable and minimize its overall risk. For example, a software project requiring several years of work should be broken down into as many components as possible, which in turn confer a benefit to the buyer at the time of delivery but before the overall project is delivered and completed. Suspending the delivery until the whole project is completed would constitute a high risk for the seller software company because it might not be able to recover restitution damages in case of repudiation by the buyer. Specific Performance. Specific performance is an “extraordinary contract-law remedy” (Hillman, 2004, p. 179). Court may order specific performance when damages are difficult to quantify, the product or thing involved is unique, such as real estate (p. 181). Sometimes, if unique personal services are to be performed and a covenant to not compete was agreed upon and held valid by the court, the court may order an injunction to support the agreement (Hillman, 2004, p. 210). Although it is generally impossible to condense the gigantic and complex legal arena of contract law into a short paper, the discussion focused to give useful generalizations, guidelines, and pointers to software company managers. Given the increasing rate of business transactions that today’s businesses need to deal with, it is crucial for businesses on the one hand to remain responsive and efficient in handling them and on the other hand not to overlook the legal risks that can result from contractual terms. Hopefully this guide can help managers relate to their own position and pinpoint potential problems in existing or future contracts. The introduction to several legal doctrines and remedies should also help improve communications between managers and legal professionals and reduce the likelihood of misunderstandings. Burton, S. J., Eisenberg, M. A. (2007). Contract Law: Selected Source Materials (2007 ed.). New York: Thomson/West. Fuller, L. L., Eisenberg, M. A. (2006). Basic Contract Law (8th ed.). New York: Thomson/West. Hillman, R. A. (2004). Principles of Contract Law. New York: Thomson/West. Summers, R. S., Hillman, R. A. (2006). Contract and Related Obligation: Theory, Doctrine, and Practice (5th ed.). New York: Thomson/West. Have a look at my post on Hyper V Backup, which describes how your software can protect their virtual infrastructure.